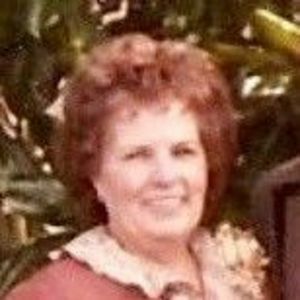 Connie Menezes passed away unexpectedly on January 15, 2018 in Burlingame, California. She was born January 19, 1929, the youngest of three children, to Frank and Casimira Weeks of Pescadero. She grew up working hard on the family farm however, they always found time for fun, which occasionally was mischievous. She graduated from Pescadero High School in 1946, as valedictorian of her class. She worked for John Dias and Sons' strawflower business in Pescadero for over 40 years. She met and later married her husband, Bert Menezes in November 1951. Upon their marriage Connie moved 20 miles north to Half Moon Bay, where together they raised their two children. Connie is preceded in death by her husband of over 42 years, Albert "Bert" Menezes, her brother, Frank Weeks and sister, Alyce Nunes. She is survived by her son, Bert Menezes (Alexa) and daughter, Patti Vanover (Cliff). She is also survived by her four grandchildren Matt, Travis, Cassie and Jamie. As well as numerous nieces and nephews. Many thanks to her caregivers, Maka and Mele, along with all the Emergency Response Services. Per Connie's wishes, services will be private. In lieu of flowers, donations can be made in her memory to a charity of your choice. Add your thoughts, prayers or a condolence to Connie's guestbook. In lieu of flowers, the family suggests memorial contributions be made to a charity of your choice.